The sesame cleaning machine is mainly used to clean the sesame seeds and many other grain seeds. It can remove the stones, dust and any other impurities from the sesame seeds easily and effectively, which is an ideal processing equipment for sesame processing plants. 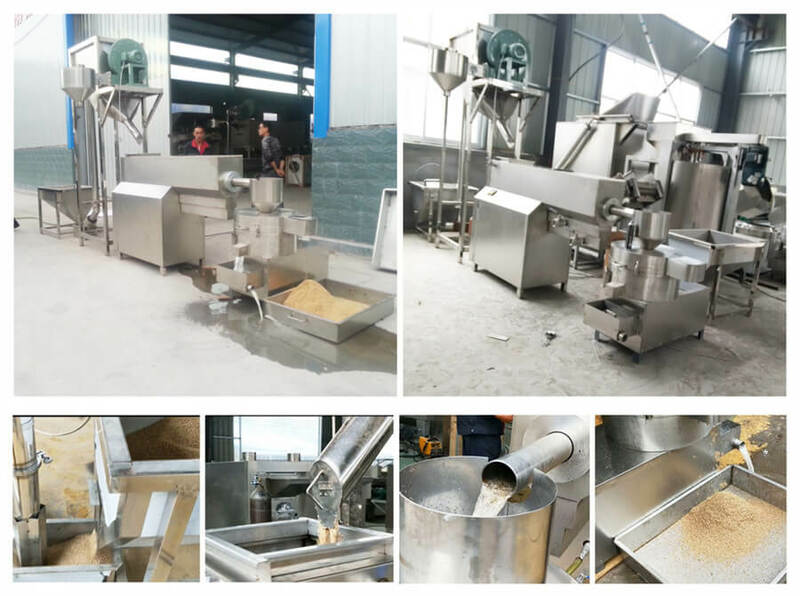 Besides sesame cleaning machine, the sesame peeling machine also enjoys wide popularity. 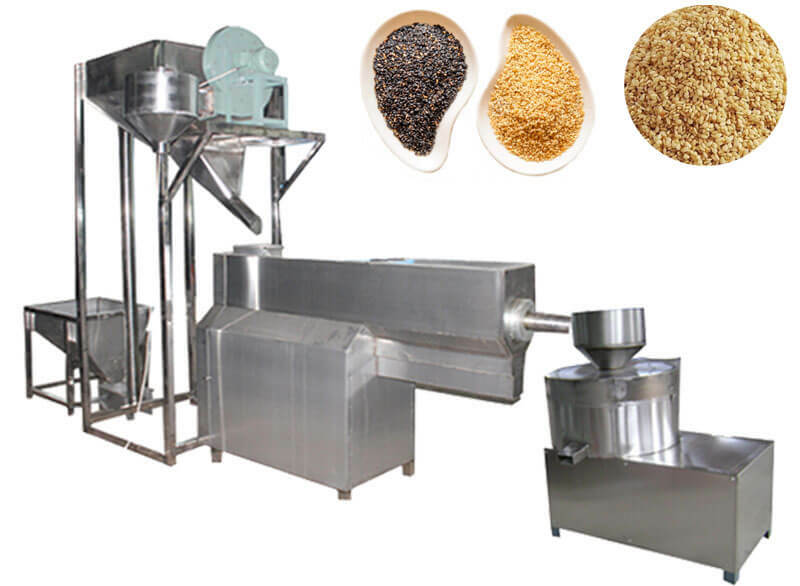 Sesame cleaning machine is specially designed for washing rapeseeds as well as sesame seeds. Sesame washing machine consists of a spiral blending device, continuously mixing and Propelling the sesame seeds forward. During the fully blending process, the sesame is washed completely. Making use of the characteristic of the small proportion of sesame seeds, this seeds washing machine is designed with 3 discharge hole respectively for sewage, impurities and clean sesame seeds. This technical design can not only save water and energy but also can realize continuous production. 1. The spiral churning device is equipped to fully stir the sesame seeds, improving the cleaning efficiency. 2. The working procedures mainly include discharge of sewage, remove the solid impurities, and get the clean sesame seeds. 3. Easy operation and low labor cost. 4. Saving water, low energy cost, and environment-friendly. 1. Put the machine in a suitable position and then fix the scroll wheel of the machine under-chassis. 2. Connect the electrical power and check machine rotating direction. 3. Connect water source, open the inlet water valve and drain valve. Adjust inlet water and discharging water, ensuring the discharging water is 1/3 more than inlet water and 2/3 water is discharged from discharging hole. 4. Start the machine and pour the sesame into the feeding hole. 5. The clean sesame container should be of good air permeability. ☆ Applicable for various small size seeds washing like white sesame/black sesame/brown sesame, rapeseeds. 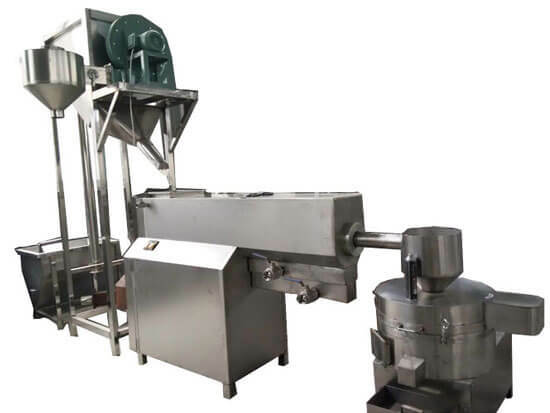 ☆ This sesame cleaning machine can be equipped with peanut butter machine in small peanut butter production line; or with small roasting machine and oil press for making sesame oil; or directly dry the washed sesame for further use in the snack industry. ※ Get ride of residue in the machine after everyday work. ※ Contact of hands and metal to feeder or screw shaft is forbidden. ☞ Soften the butter and add sugar for total blending until they become white. ☞ Break the egg into egg liquid and add to the former mixture in 2-3 times. ☞ Add flour and baking powder for complete mixing, then mix with milk and sesame.